^ ADD on EX MEL, BNE, ADL & PER please see additional prices per person in below itinerary. Directly overlooking Queen Kapiolani Park and the best surf break in Waikiki, Queen Kapiolani rests on lands once reserved for Hawaiian royalty. From our unique location you can walk through the 300-acre Kapiolani Park to reach Diamond Head’s summit, ride a bike to Kahala, or turn right and dive into Honolulu’s surf, shopping, and nightlife. 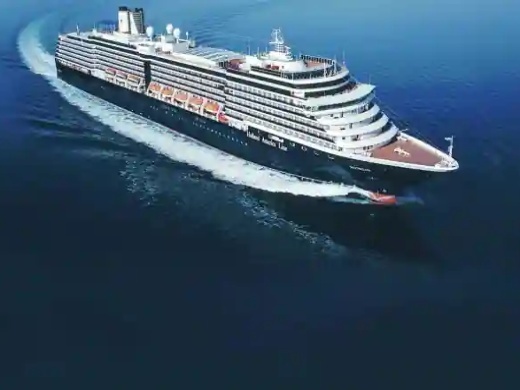 Onboard Noordam you will discover museum-quality paintings such as an oil painting of the city of Utrecht painted in 1842, as well as contemporary art like the series of photographs of music greats Dizzy Gillespie and BB King. One of the most valuable pieces of furniture onboard the ship is a remarkable inlaid chest flanked by carved wooden 17th-century Baroque columns. Made in Germany in 1885, the chest is inlaid with ebony and precious stones. Enjoy an onboard IPod self-guided tour of the complete Noordam art collection. The Noordam exemplifies the classic style of ocean travel with contemporary amenities and modern enhancements.